SIGNIFICANT REDUCTION – PRICED TO SELL!Outstanding remodel with a gorgeous open floor plan, this recently renovated and MOVE-IN READY home is located in the gated Maravilla Private Streets Community. This home sits on over a 1/4 acre and has newly installed gray toned woodgrain tile planks throughout with carpeted bedrooms. Kitchen boasts lots of storage including a pantry in this model. The cabinetry, including Family Room built-Ins, is fashioned with the most current finishes and hardware and continues into the bathrooms. 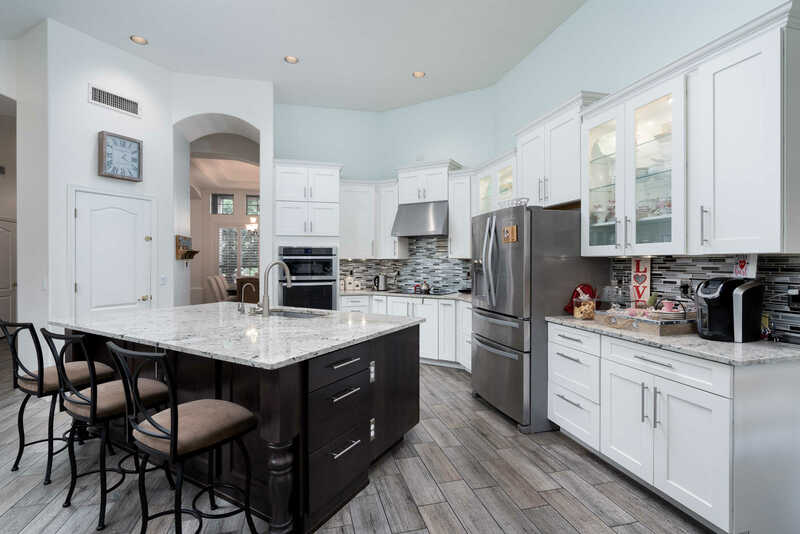 Beautiful granite countertops – matching throughout. Split master has a walk-in shower and Jacuzzi tub and access to backyard. Large backyard with fenced pool, grass and mature landscaping. Come see this home now…it won’t last long! Directions: 55th St North of Thunderbird. Input gate code. Turn right (east) on Ludlow – follow to the left (north) on 55th Pl. Home is on east side of street. Approximate size: 12072.00 sq. ft. Please, send me more information on this property: MLS# 5880000 – $729,000 – 13811 N 55th Place, Scottsdale, AZ 85254. I would like to schedule a private showing for this property: MLS# 5880000 – $729,000 – 13811 N 55th Place, Scottsdale, AZ 85254.